Please note, that the image in the theatre has been photoshopped. Our imagination and our dreams often work in this surreal, dramatic and horrific fashion. Who doesn't re-member Lewis Carroll's Dream Vision of Alice's Adventures in Wonderland? The Disney film adaption and the signature line of the Queen of Hearts "Off with her head." comes to mind. I am the mother of an 8 year old son who has been having horrible nightmares to the point that it is starting to interfere with school. I have 2 other children beside him. These dreams consist namely of his 2 year old brother dying or getting her legs cut off. He has also had dreams of the world blowing up and ending, as well as himself being cut up and killed. Mr Hagen's Reply; Children's Nightmares -or- The Green Eyed Monster? Patricia Garfield Your Child's Dreams has dedicated a chapter to children's nightmares, outlining a "Parent's Guide to Children's Bad Dreams." Garfield provides sensitive ideas and self-help know how to parents who can then help their children to cope with unsettling nightmares and feelings. Garfield's chapter on; "The Green Eyed Monster: Sibling Rivalry" seems to address the aggressive and destructive images found in your child's dreams. Sibling rivalry has been recorded since Biblical times, just think of Cain and Abel. Shakespeare used sibling rivalry as a plot device for his stories of love and hate. In more modern times John Steinbeck's book East of Eden shows how rivalry and so much else, is still at work today. 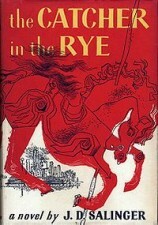 The book was adapted to the silver screen in the film by the same name, starring James Dean. It tells us that affairs of the human heart haven't changed much for human beings since biblical times. While most would say that sibling rivalry emotionally consists of a hatred known as jealousy, I believe the real narcissistic core of the emotional problem is envy. In this sense the dramatic conflict has two faces, in the outside world (the world you see) you see his jealousy, however in his inside world, what he sees is envy. Said another way, jealousy and envy are often two sides of the same emotional coin. In that dreams and dreaming can be viewed as a developmental process, and if we collect a persons dreams, we can see how a person grows and matures, or not. The dream of your son provides some potential developmental information, if this aggression is not tempered, then it may likely lead to sarcastic ways of relating in adolescence. Sarcasm has been called the tearing, cutting and ripping of the flesh (much like in the dream). Sarcasm is the humor of choice by adolescents, just think of Salinger's Catcher in the Rye character Holden Caulfield and his critical voice. The refined and mature form of sarcasm is satire. While my article about children's dreams remains incomplete, I hope with some help that it will be completed. You can find an article/interpretation about adolescent dreams at the IIDR website.